Glass film is a popular design solution to enhance window privacy and safety, in homes and in offices. It’s versatile, it’s cost effective and it looks great. There’s a lot to love. At Apply To Glass we often meet customers who want to use glass film to mimic the look of a solid piece of opaque or frosted glass. And while this is an incredibly popular way for glass film to be used – it’s not the only way! From branding to beautification, glass film has a variety of applications and its design possibilities are endless. Here are a few of our favourite ways to design with glass film. Creating the appearance of opaque or translucent glass for privacy in the home doesn’t have to compromise aesthetics. 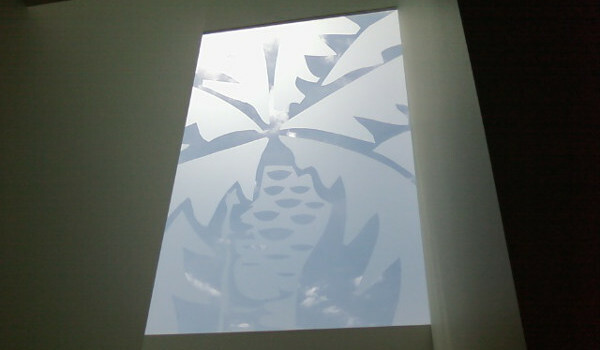 In fact, glass film can be cut into a range of designs to add character and style to your home. 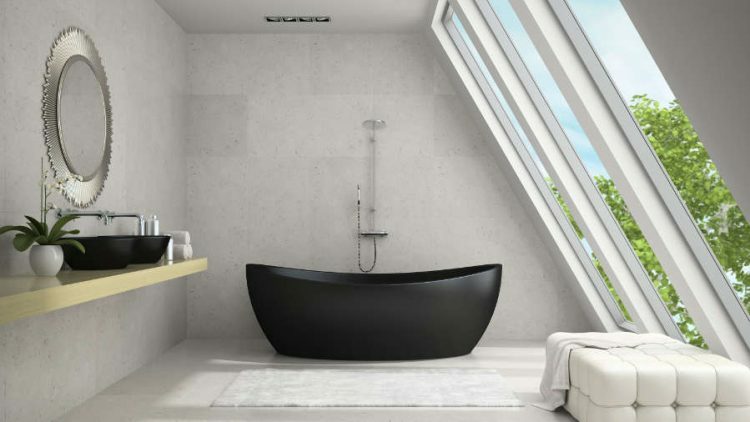 Glass film is a popular way to add privacy to a bathroom without compromising on design. And whether you’re adding glass film to a window, a door with transparent glass or even your shower – there are many opportunities to add bold and beautiful decoration. From mimicking the look of etched glass to providing a frosted window film, glass film can be cut into any shape, pattern or design to enhance privacy and design simultaneously. If you want to enhance the privacy of your child’s bedroom window or simply want to brighten their playroom, glass film is a great option. From colourful shapes and patterns to a detailed motif of a favourite cartoon character it’s an inexpensive way to add loads of personality. To enhance the fun factor you can even involve the kids in the design to make them feel part of the process. Then, as the kids get older, glass film can easily be removed. Many beautiful stairwells are accompanied by adjacent windows – providing beautiful views and allowing light to flow through a house. Decorative window film can help maintain the benefits of these windows while adding privacy and a beautiful design element too! Some popular choices for this area of the house include using glass film to imitate the look of a stain glass window or choosing a clean pattern that adds an interesting layer of design when light shines through. Whether your business takes up an entire level of a building or is a small street-level space for your clients to find you, you want your business to reflect your brand. Decorative window film can be designed in pre-cut logos or even into multi-coloured designs to transform a basic interior into a space with visual appeal. Wow anyone who comes to your office! 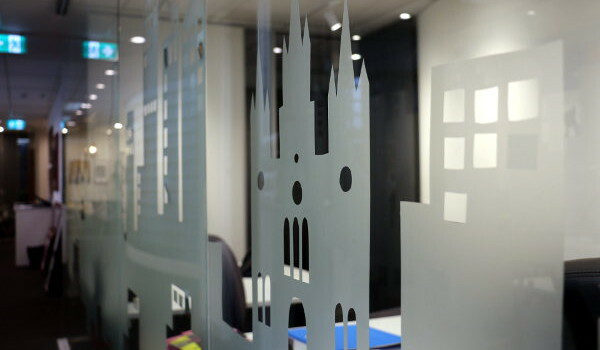 From your entrance to beyond, glass film can be adhered to glass doors and walls throughout your office space to create a strong and consistent brand feel. Not only will it create an impact on anyone who visits, it can also help add character and a design lift to any internal office areas that are stark or dull. You can have glass film cut into your brand’s logo or any other design to give a unique look and create a branded office fitout. As a nice touch you could also involve your staff and ask for their input into the design you choose. From yoga studios to hairdressers to medical clinics, there are many street-level businesses with big front windows. This can be a blessing and a curse. This location is great because people can find your business easily and the window means your space will be filled with natural light. Yet it can be hard to maintain privacy for customers without compromising design. That’s where decorative window film comes in. Glass film can be cut into any shape or design to enhance the look of your front window and provide privacy without compromising on that gorgeous natural light. And, if you have a special offer available, you could even have film cut into letters and adhered to your front window as an inexpensive form of promotion. Apply to Glass – for all your glass film design needs. Apply to Glass work with builders and professionals on a range of projects installing decorative window film that not only achieves a high standard of design but also meets building regulations for privacy. If you’re interested in using glass film to enhance the design of your home or office, Apply to Glass can help. You can suggest your own design or have an expert from Apply to Glass help you. We can work collaboratively with you to finalise a decorative window film design to fit your brief. Once the design is ready our expert team will cut and install it for you.